Heart disease isn’t just for men. 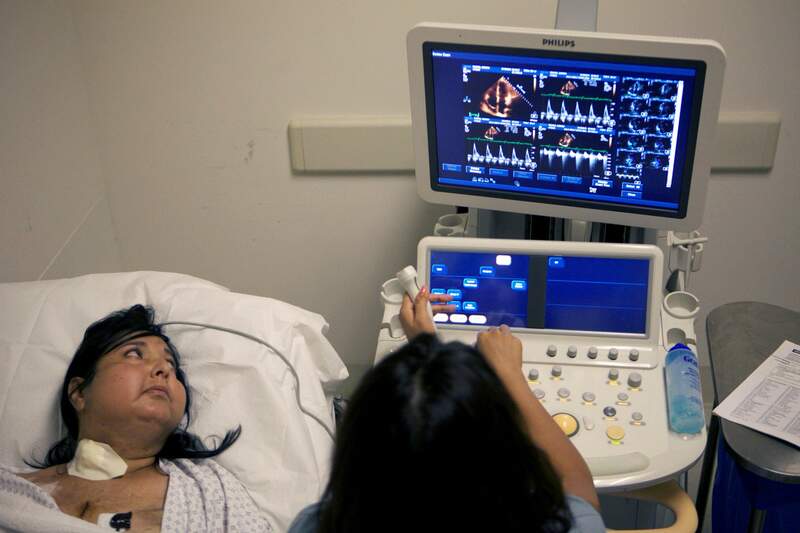 Cardiovascular disease is the top killer of women in the U.S., but many female heart attack and stroke victims could have better outcomes if they were more aware of the symptoms that precede a heart attack or stroke. Stroke? Heart attack? I know … not you. Well, step into this other circle while you read this. The concern about women and heart disease is magnified because we deny or aren’t as aware as we need to be. To keep that organ the size of your fist working well, it needs some attention. Heart disease causes more deaths than all cancers, respiratory illnesses, Alzheimer’s and accidents combined. Did you know strokes affect more women than men? Heart disease is not a “man’s” disease, but unfortunately, research tends to favor men in the studies (25 percent of subjects are women), but symptoms can be very different from men. They are often ignored, and traditional treatments can have radically different outcomes. So what is the No. 1 killer of women? If you answered cardiovascular disease (heart attacks and strokes), you are that 1 out of 10 women who know this. The reality is heart disease is the No. 1 killer of women nationally. For Colorado, it is the second highest killer of women, while strokes are the No. 5 killer for women. Ten women over the age of 35 in Colorado die each day from heart disease or stroke. The good news is Colorado’s mortality is “only” 72 percent of the national rate. The bugger is that it is still responsible for 24 percent of all female deaths compared to 3 percent for breast cancer. That is a loss of 3,734 women in Colorado – sister, mother, wife, friend and neighbor. In our own community, one of every four deaths is caused by heart attack or stroke. But more than 86 percent do survive. Do I have your attention? So how can we keep ignoring or denying a disease that impacts so many of us? Diagnostics and treatment procedures can be very different between genders (stress tests, medications, angiography, surgical intervention). The bottom line is that, regardless of age, when a woman has a heart attack, she is 1.7 times more likely to die than a man. Why? For starters, we tend to deny. A National Institutes of Health study found that 95 percent of women experiencing a heart attack had new or more pronounced symptoms an entire month before experiencing a full-blown heart attack. Only 53 percent called 911 when they thought they were having a heart attack. Crushing chest pain is not always a symptom either. The study found that the most common symptoms were unusual fatigue (70 percent), sleep disturbance (48 percent) and shortness of breath (42 percent). I know ... what woman hasn’t had these symptoms? But realize that the symptoms are often different for women. A woman’s heart attack is not necessarily accompanied by that crushing chest pain. Some symptoms could include neck, shoulder, upper back or abdominal discomfort; shortness of breath, nausea, sweating, lightheadedness or unusual fatigue. The symptoms tend to be more subtle because blockages can be not only in main arteries but also in the smaller arteries supplying blood to the heart. This is why getting to the emergency room quickly is critical to prevent heart damage. It is important to not be ignorant of this major issue and know you can do something to prevent heart disease regardless of heredity and age. Yes, family is important, but they would be devastated without you: Take care of you first. Hispanic women have a higher risk; smoking and being overweight are also significant risks. Women over 65 have more hypertension when compared to men – another risk factor. The good news is, in addition to the general changes that work for both men and women, there are lifestyle changes that are more gender specific: for the 14 percent of women who smoke cigarettes in Colorado: Stop. Use techniques to deal with stress/depression, add at least 30 minutes daily of additional physical activity, improve food choices and (check out the Mediterranean diet). Wendy Rice is the family and consumer science agent for the La Plata County Extension Office. wendy.rice@colostate.edu or 382-6461. Rarely do I include recipes, but this is an exception since many will be munching more than usual while watching the Super Bowl. Large avocados are recommended for the recipes. If you are making guacamole, try substituting half of the avocado with pureed thawed frozen green peas. Vegetarian Avocado Ceviche 1 large ripe, fresh Hass avocado*, cubed 1 cup cauliflower, diced 2 tomatoes, diced 1/3 cup red onion, finely diced 1 Tbsp. jalapeno pepper, minced 1 clove garlic, minced 1 Tbsp. fresh cilantro, chopped 1 Tbsp. lime juice ¼ tsp. Salt (optional) 1Tbsp. olive oil Combine ingredients and serve as appetizer or side dish. Avocado Corn Salsa3/4 cup(s) frozen corn, thawed 1/2 cup(s) grape tomatoes, quartered 1 avocado, diced 1 tablespoon fresh cilantro, chopped 2 teaspoons lime juice 1/4 teaspoon salt, Kosher (optional)Combine ingredients and serve with pita chips as appetizer. The La Plata County Extension Service offers a 12-week StrongWomen Healthy Heart class to help women learn how to improve their cardiovascular health. For more information about the course, call 382-6465.